Megunticook Campground by the Sea is just over 3 hours northeast of Boston and 90 minutes from Portland. From the South: Follow I-95 North to I-295 (Exit 52) then take I-295 North to Brunswick (Exit 28) and take coastal U.S. Route 1 North. Travel about 40 miles and 5 miles past Moody’s dinner in Waldoboro, turn left on Route 90. Take Route 90 12 miles to Route 1 in Rockport. 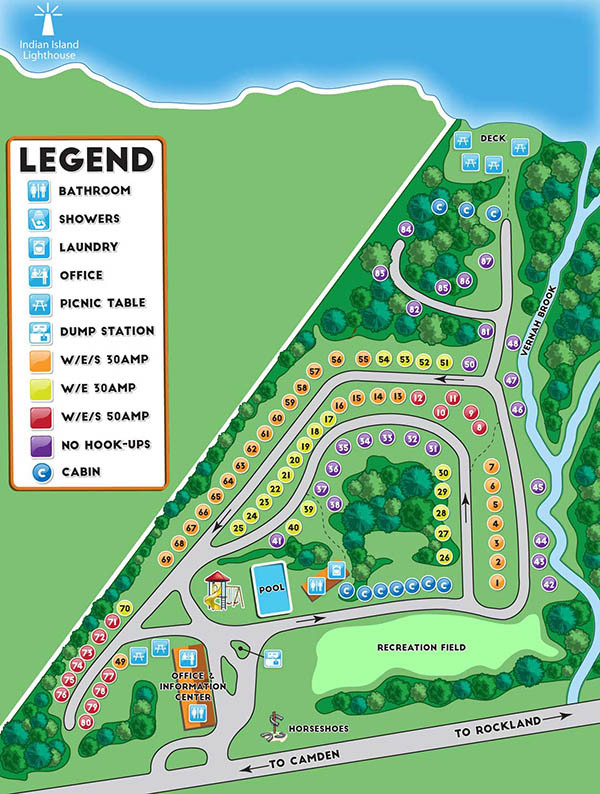 Turn right and travel 2 miles, the campground is on the left, across from Plants Unlimited. Alternate route from points south: Many visitors use this route to bypass the heavy summer traffic on US Route 1: Take I-95 to Augusta (Exit 109) and follow Route 17 towards Rockland. At Route 90 turn left and go 2 miles to Route 1. Turn right and go 2 miles. We are on the left, across from Plants Unlimited.